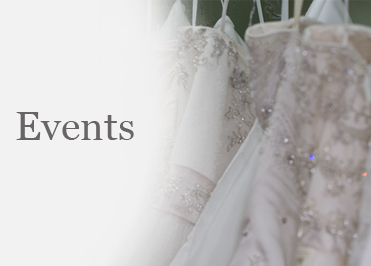 Booking an Appointment is necessary so we can dedicate a bridal consultant and provide you with our undivided attention. 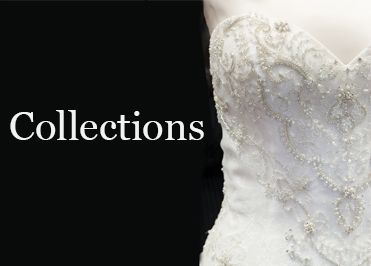 Brides, Bridesmaids, Mothers, and Tuxedo Appointments can be booked either on-line or by phone. Flower Girl, Invitations and Accessory Appointments must be booked by phone. 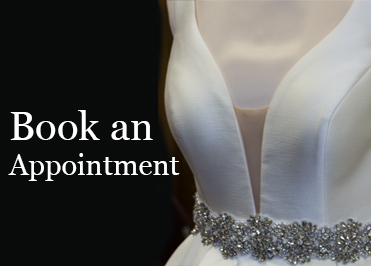 Fitting/AlterationAppointments must be booked by phone and are available on Tuesdays 10am-5pm; Thursdays 12am-7pm and Saturdays 10am-12 noon. 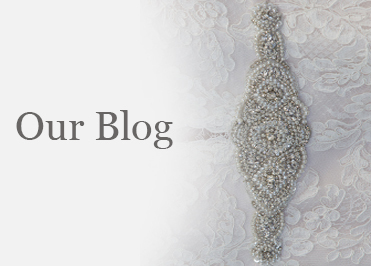 Try on Dress Appointments: There is no need to bring undergarments, shoes, jewelry to try on dresses, though we ask you not to wear make-up to avoid possible stains to the gowns. Children Policy: A Bridal Salon is not a safe place for children due to loose pins, beads, breakable items, and other hazards. Saturday and Sunday Bride, Mother, Bridesmaids and Tuxedo appointments require a $50.00 credit card deposit. They are no charge, but if you miss your appointment or do not cancel 48 hours prior to your appointment, you will be charged the $50.00 Cancellation Fee. Bridal Salon Viewing / Sitting Area can accommodate up to 4 people per bride. We want your experience to be magical and look forward to meeting you.